Different states have different rules and regulations. 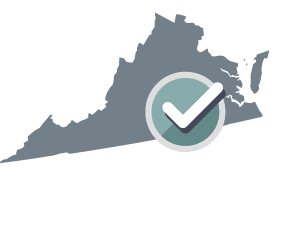 Your Joint Venture Agreement will be customized for Virginia. What is a Joint Venture Agreement?A Joint Venture Agreement is an agreement between you and your partners that sets out the duties and obligations of the partners to each other and to the joint venture. Your Joint Venture Agreement does not have to be filed or registered.How do I choose the place of business?Select the state in which the joint venture will primarily do business. The laws of the state you select will be used to develop this agreement. By this Agreement the Members enter into a joint venture (the "Venture") in accordance with the laws of the Commonwealth of Virginia. The rights and obligations of the Members will be as stated in the applicable legislation of the Commonwealth of Virginia (the "Act") except as otherwise provided here. all responsibilities attached to hiring of production and administration staff including any required labor negotiations, and all responsibilities attached to hiring of third party contractors. Each Member will be indemnified and held harmless by the Venture from any and all harm or damages of any nature relating to the Member's participation in Venture affairs except where the that harm or damages results from gross negligence or willful misconduct on the part of the Member. No Member will be liable to the Venture or to any other Member for any error in judgment or any act or failure to act where made in good faith. The Member will be liable for any and all acts or failures to act resulting from gross negligence or willful misconduct. Where allowed by statute, title to all Venture property, including intellectual property, will remain in the name of the Venture. Where joint ventures are not recognized by statute as separate legal entities, Venture property, including intellectual property, will be held in the name of one or more Members. In all cases Venture property will be applied by the Members exclusively for the benefit and purposes of the Venture and in accordance with this Agreement. The Members submit to the jurisdiction of the courts of the Commonwealth of Virginia for the enforcement of this Agreement and for any arbitration award or decision arising from this Agreement. All Members represent and warrant that they have all authority, licenses and permits to execute and perform this Agreement and their obligations under this Agreement and that the representative of each Member has been fully authorized to execute this Agreement. "Majority Vote" A Majority Vote is any amount greater than one-half of the authorized votes. IN WITNESS WHEREOF the Members have duly affixed their signatures under hand and seal on this 25th day of April, 2019. A Joint Venture Agreement, also known as a co-venture agreement, is used when two or more business entities or individuals enter into a temporary business relationship (joint venture) for the purpose of achieving a mutual goal. A Joint Venture Agreement sets out the terms and obligations of the members and the joint venture. What types of joint ventures are there? Contractual: A contractual joint venture is when two or more parties agree to collaborate on a business project, and sign an agreement that outlines the terms under which they will work together. The members continue to operate a separate business with a shared goal but with no pooling of profits or losses. Each party keeps their accounting records separate and there are no registration requirements. General Partnership: A joint venture in the form of a general partnership is when the partners agree to share in the profits and losses from the project and each party is jointly and severally liable for the obligations of the partnership. This type of joint venture is mainly used for real estate ventures and not for business endeavors related to research and/or product development. Why do businesses form joint ventures? Two or more businesses form a joint venture when they wish to join forces for a common purpose where they will each share in the risk and reward. It allows each business to grow without having to look for outside funding. Other reasons businesses may enter into a joint venture relationship could be to gain access to wider markets, share resources, fund the growth of another business, develop products, or diversify. What is included in a Joint Venture Agreement? Venture details, such as its name, address, purpose, etc. A joint venture is typically made up of two or more individuals or businesses joining together to complete a project that is limited in scope and time. Once the project is completed, or by a fixed date in the future, the joint venture ends. A partnership consists of two or more people who go into business together with a view to making a shared profit. A partnership is governed by a Partnership Agreement and unlike a joint venture, it typically continues for as long as the partners want to be in business. Personalize your Joint Venture Agreement template.